Counting is one the basic skills the builds math skills later. It is one you build with counting in different ways. 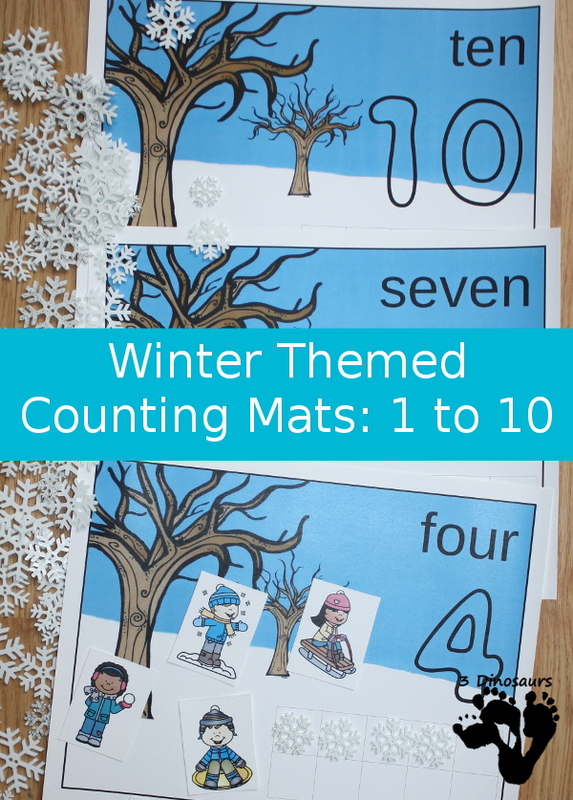 I love that these winter counting mats work on counting in two different ways. You start with the ten frame and then build the picture on the side. 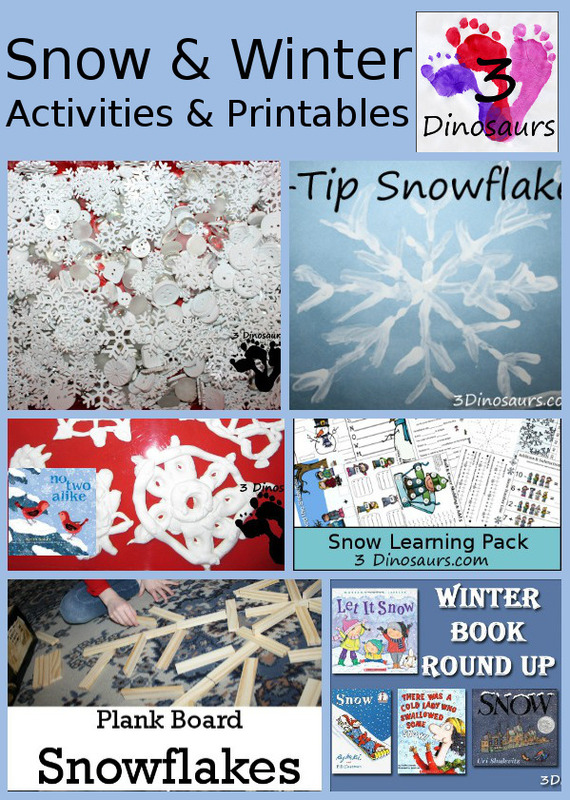 These have been really popular on the site and I love having different activities for different seasons. 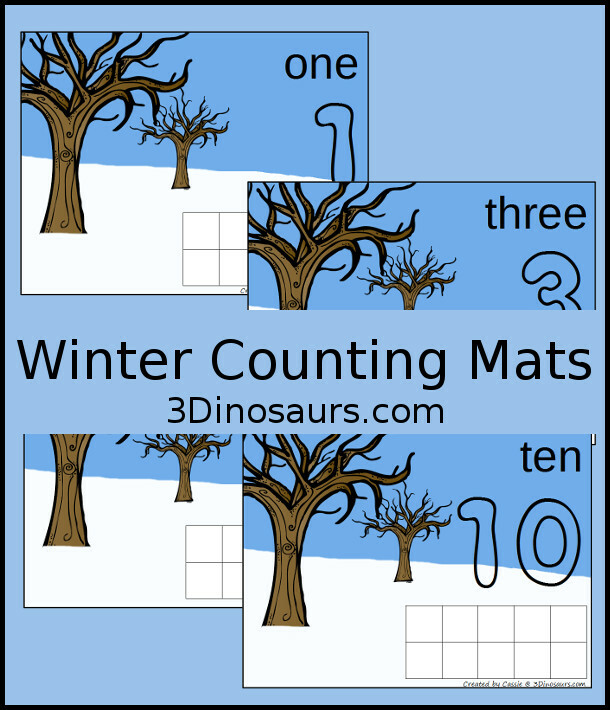 These free winter counting mats are the newest mats on the site. 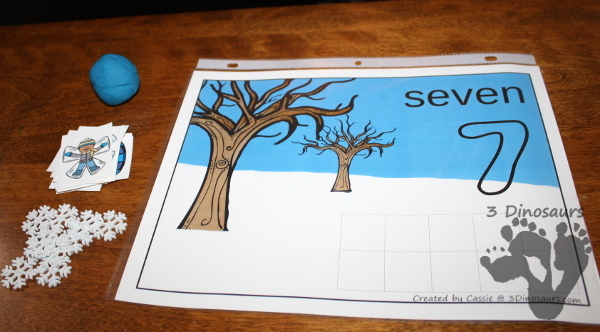 This is a part of the 7 Days of Winter Printables. The mats are great for kids working on their numbers 1 to 10. They are simple and easy to set up and make a great math center for preschool and kindergarten. Plus each one has a ten frame which is a great way for kids to work on the start of math. They also work great for a learning 10 frames in kindergarten and review for First Grade. Each of the mats has the number written out, a number for playdough, and ten frames. You can see how I set up each of the mats. I used playdough, the winter kids, and snowflakes (I got our at Michaels a few years ago). You can mix up the kids that they put on the mat. There are 10 different ones to pick from. I often laminate the pages if we are going to use them often. But if I’m out of laminating sheets I’ll use a sheet protector on the pages. Plus that makes it easy to store. I just put all the pages in the sheet protector. You can see how we placed the snowflakes in the ten frames and use the kids on the mat. This is fun to see what kids they will pick each time. Graphics from Melonheadz Illustrating and Whimsy Clips. If you are looking for more witner counting mats check out these ones. 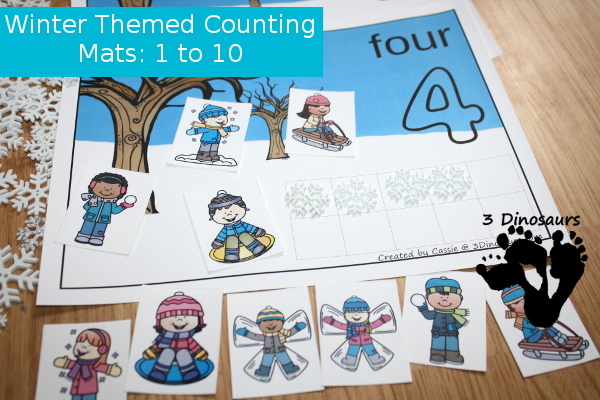 Snowflakes themed Counting Mats are a fun hands-on way to work on counting from 1 to 20 with 4 different mat options. 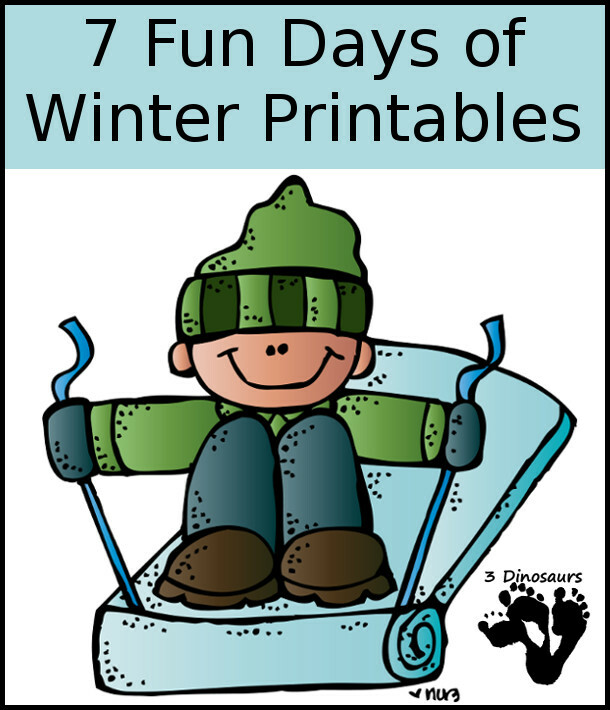 Check out all the printables from the 7 Days of Winter Printables. 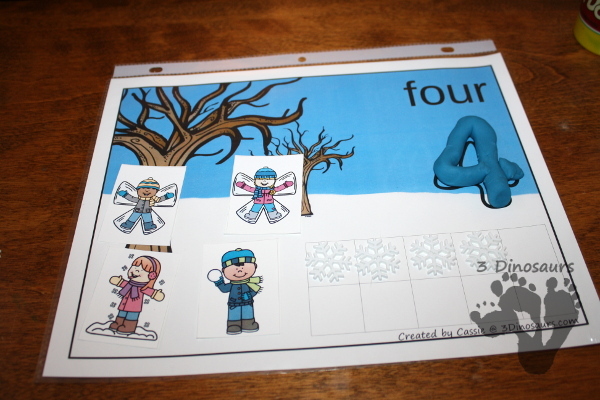 This entry was posted in math, numbers, winter and tagged counting, free, printables, winter. Bookmark the permalink. I’m glad you like them. I’m sorry but all free printables come as is. There are some sets that have matching addition and subtraction mats. The winter mat is not one that has it. I hope that you continue to enjoy the mats.